A fugitive was shot this week inside a vehicle in front of a woman and four kids by a police officer in Southwest Philadelphia, but fled the area and later died after being shot again by law enforcement officers in Delaware, authorities said Thursday. The Philadelphia Police Department and New Castle County Police announced the shootings occurred Wednesday between 5:30 p.m. and 7:45 p.m. The 28-year-old man, who was not identified, had a warrant out for his arrest and was reported to possess a gun. 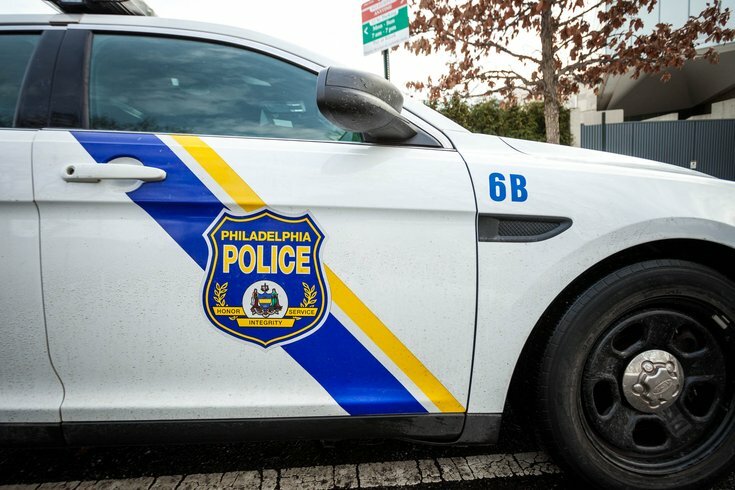 The encounter started when two Philly police officers observed the man getting in the driver's seat of a Dodge Caravan on the 5600 block of Whitby Avenue in the city's Kingsessing section. The officers also saw a 26-year-old woman in the passenger seat, but claimed to not see four children - a 6-year-old boy, a 4-year-old girl, a 2-year-old boy and a 2-year-old girl - in the back seat. As officers approached, the man suddenly put the vehicle in reverse and struck an officer with an open door. The officer said he saw the suspect reach under his seat, prompting the officer to fire his gun at the suspect, striking him once in the left side. The suspect was able to operate the van and fled the area, but crashed into a 2003 Dodge Neon at the intersection of Island Avenue and Lindbergh Boulevard. The van was disabled in the crash, but the suspect entered an unoccupied 2011 Dodge Avenger with the engine running. The woman and the four kids piled in the car and all six fled the scene. The officer sustained contusions to his right thigh, left elbow and forehead due to the impact with the suspect's van. A 23-year-old male who was driving the Neon sustained minor injuries in the crash. Approximately two hours later, New Castle police in Delaware located the suspect on the 100 block of Carriage Way. The man again attempted to evade officers by entering a vehicle. After a struggle, the officer discharged his firearm, striking the suspect. He was transported to Christiana Medical Center where he was pronounced dead. The New Castle officer sustained undisclosed injuries, but was treated and released from an area hospital. The officers will be placed on administrative leave while investigations into the shootings are completed.